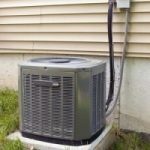 Lower costs this summer by improving the efficiency of your air conditioner. Doing a little maintenance around the house will help to cut down on your utility costs but can also improve the air quality in your home. When you use the large appliances in your home such as the dishwasher, oven, washer or dryer, you are actually generating even more heat inside the house. It is better to use these appliances in the morning or at night when the temperatures are cooler. Try not to use them during the hotter times of the day makes the air conditioner work even harder to try and keep the house cool. Look for any cracks around the house and seal them with caulk. Any cracks in the walls or ceilings will allow the cooled air to escape which requires the air conditioner to run more often to keep the rooms cooled off. Making sure your windows are insulated can reduce your energy costs by 25-50%. You can use weatherizing tape around the windows and doors to seal any gaps that also allow air out. 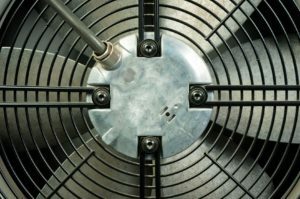 Scheduling an inspection once a year from a licensed air conditioner technician can help prevent many potential issues with your cooling system. A technician can make small repairs to leaks or other damage that may cause your A/C unit to work less efficiently. They can also clean the air duct system and replace air filters to improve the air quality. Try using ceiling fans during the day to help cool air circulate throughout the house so the air conditioner runs less often. The ventilation fans in the kitchen and bathrooms can help with this to by reducing the heat and moisture in those areas. These are just a few ways you can get your air conditioner running efficiently. Call Sanders & Johnson, Inc. today for preventative maintenance and air conditioner inspections in Denver, CO.